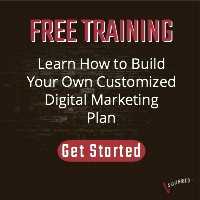 Question: What do you call a digital marketing campaign that is successful on the first try? But, sometimes you get lucky, all the stars align, and you hit a home run out of the gate. We launched what is called a “free+shipping” campaign for a client recently. This is a funnel where you offer a tangible product (such as a book, a useful item of some sort, an accessory that complements a larger item, etc) for free, but charge a nominal shipping charge. In this case our client had a book she had written that we knew would be extremely useful to her target audience. For discretion’s sake, I can’t go into details too much about her business or industry, but suffice it to say that it is relatively small. However, even though the audience is small, the content in this book is highly coveted by this group. Excuse the redactions, but this is the funnel from start to finish. You’ll see that we open with “cold traffic” offers (blog posts and videos) and these are crucial to the success of the campaign. Frankly, this was something that I missed early in my career and it has literally cost me millions of dollars in revenue being left on the table. It is also responsible for killing what may have been winning campaigns prematurely. More on that in a bit. The ad that was shown to these people was fairly simple and just gave a quick overview of the book’s content with an offer to get it for free plus a small $4.95 shipping charge. Here’s where it gets interesting. As you can see below, we ran this ad for just 3 days this post only reached 611 people. Of those 611, 86 clicked through to the landing and 61 of them purchased the book offer. This was an incredible response rate of over 70%! We just turned 61 potential prospects into CUSTOMERS. The amount they paid is irrelevant here. The important thing is that we were able to change the relationship from prospect to customer in an almost seamless way. There is something magical that happens when a prospect finally buys from you and becomes a customer. If you deliver on your offering and make it a great experience to business with you then it is infinitely easier to get them to buy from you again. Don’t underestimate this important point. First, for any initial transaction with a new customer, you should be willing to break even or even lose a little bit of money to the costs of acquiring them as a customer. This includes your marketing costs, your ad spend, your delivery costs, etc. Basically what you are doing is buying a customer for free. Secondly, by implementing an up-sell offer in the process and implementing a strong follow-up sequence you can generally take a campaign that is losing money or breaking even and get it to show a small profit. If you look at the right of the screenshot above, you’ll see that it shows 12 “Website Purchases”. In the funnel, you’ll see that we included an up-sell to a $100 training and a down-sell to a $59 training. Four people purchased the up-sell immediately for immediate revenue of $400. The other 8 purchases came from the email follow-up that offered a 25% discount. Revenue from those purchases came out to be $600 ($75 X 8). So, she maybe lost $1.50 per book in print costs and shipping for a total loss of $91.50 plus her ad spend of just $20.49 for a total cost of $111.99. Subtract that from the $1,000 in sales and you get left with about $888. Not a bad ROI. Ok, so we talked some specifics, but what does this mean to you? What are the takeaways here? 1) We used specific content to warm up cold traffic. I cannot emphasize this point enough. You HAVE TO deliver value BEFORE you ask them to buy, opt-in, call, etc. Earlier I mentioned that this one mistake in my career has cost me millions of dollars in lost revenue. I’m not exaggerating either. If you are making a warm traffic offer (like our free+shipping offer) to people who have never heard of you, then your results are going to be mediocre at best or you will bomb spectacularly at worst. 2) Even with a small market you can have tremendous success with the right offer. The only reason this campaign was successful right from the start was because we had an irresistible offer. That free book proved to be exactly the right hook we needed to pull people in. Keep in mind that the reach was only 611 people. What if you have a reach of 50,000, 100,000 or 1 million? The sky is the limit with the right offer. 3) The money is in the follow-up. If we didn’t have a strong follow-up sequence or the up-sell in place this campaign could have easily been written off as a failure. Instead, my client now has $888 in seed money to fund her next campaign and try to scale it or create another campaign idea. 4) Huge budgets are not necessary. 5) You will not get this lucky on the first try. This is something that I can almost guarantee. That’s what makes this such an interesting exercise. You need to be ok with the fact that you will most likely bomb with your campaign in the beginning. You’ll have to troubleshoot your ad copy, your targeting, your offers, your landing page, your up-sells, your down-sells, your emails, and on and on. But, keep at it and victory will be yours. If putting together a digital marketing strategy like this is of interest to you, we’d love to chat. 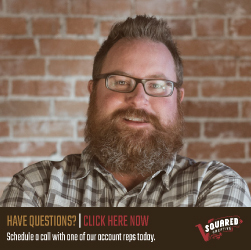 One of our marketing specialists is standing by to answer your questions and help you see if this type of program is right for you. To schedule a quick, 20-minute exploratory call please click here. Want this blog article in PDF form? CLICK ON THE BUTTON BELOW AND WE'LL SEND YOU A COPY TO YOUR EMAIL.